Ford has long been among the most productive car manufacturers in the world, and many of its models consistently rank as some of the most popular in America. That popularity isn’t unwarranted, either — Ford’s engines are considered to be some of the most reliable on the market. To find used Ford engines in your area, simply fill out the lead form above and you’ll start receiving quotes within minutes. From the quick and compact Fiesta to the racetrack-ready GT to the tough and durable F-150, Ford has a model for any and every driver. Select your Ford engine model below. If you don’t find what you are looking for submit a request and we will find a used Ford engine for sale that fits your needs. A used Ford Flex Engine can be located at ASAP Motors . 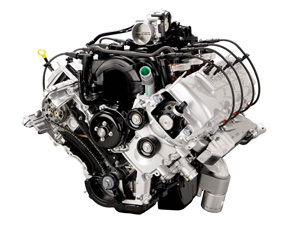 ASAP makes it easy to find used Ford engines for sale using our free service…. Ford Taurus’s first generation model 1986 came into fruition as an inline four cylinder engine accompanied by automatic or manual transmission…. While most modern car engines are designed to last for more than 100,000 miles with proper care and maintenance, Ford has an excellent track record when it comes to longevity. Some drivers have even reported lifetime mile counts of more than 500,000. And, in 2009, Ford introduced its line of powerful and fuel-efficient EcoBoost engines. These engines can be used in many of Ford’s models, including the ever-popular F-150, as well as the Focus, Fusion, Fiesta, Explorer, Edge, EcoSport and Mustang, among others. Our company provides a locating service that works with a nationwide network of used parts providers to supply individuals with the parts that they need, such as replacement Ford V8 engine, at a fraction of the cost. Anyone who decides to look for suppliers who carry Ford motors using our website will be pleasantly surprised at how simple & easy it really is. The service is free and simply involves filling out one form online. Next, offers will start pouring into your inbox from numerous resources. It is up to you, the customer, to choose the best deal which will include the price of parts, specify whether or not a warranty is included, and where the part is located. If it is local, shipping costs can be reduced as well. On the other hand, even if it’s coming from a great distance, it could still be purchased at a dramatically lower price than a new motor. With the strained economy, people need to take whatever measures they can to save money. Even if they can’t do the work themselves, it’s time to go out and locate their own used Ford engine. An auto shop will install what they have. Imagine no longer having to run around to every parts shop in town in search of the perfect Ford engine for your car or truck. Consumers can get reconditioned motors that have been taken from recycled vehicles, have been thoroughly examined by a certified mechanic, come with a warranty, and are at the ready to be shipped. What a huge saving in time for someone in a rush to find a high-quality used Ford engine and get back on the road. Let us make life easier by connecting you to the Ford engine supplier you need. If you are looking for used, we can help you find a reputable provider who has a used engine for sale at a good rate, waiting to be sent home to you so that you can get that Ford up and running again. What Ford engine sizes are available? From three cylinders to 10, Ford engines are available in an astonishing array of sizes for a variety of models. Here are some currently available Ford engines categorized by size. Which Ford engine is best for towing? For Ford’s 2019 Super Duty pickup, the 6.7-liter Power Stroke Turbo Diesel V8 engine offers up to 21,000 pounds of towing capacity. And, for Ford’s 2018 F-150, the second generation 3.5-liter EcoBoost offers up to 13,200 pounds of towing capacity. Which Ford engine has the most horsepower? While many of Ford’s engines can be tweaked to achieve impressive horsepower, their 2018 Mustang Shelby GT350 features a 5.2-liter Twin Independent Variable Camshaft Timing (Ti-VCT) V8 engine that produces a whopping 526 horsepower. How do I install a used Ford engine? We generally recommend that you have a professional mechanic install your used Ford engine. But, if you’re familiar with building cars and are willing to take on a project, it’s possible to do it yourself. Before you get started, it may be a good idea to check with a knowledgeable local mechanic to ensure that you have all the necessary parts and supplies. Here are three of the most popular Ford used engine models. As the most popular truck in America by far, it’s no surprise that used Ford F-150 engines are always in demand. With so many engines options available, particularly for newer F-150s, drivers have a lot to choose from. Customers can choose either a V6 or V8 engine for varying levels of horsepower, towing capacity and fuel efficiency. The Ford Escape is a surprisingly stylish compact SUV that Ford has been selling since the year 2000. It can tow up to 2,000 pounds, has excellent handling and boasts impressive fuel efficiency. Escape drivers can choose between a few different four-cylinder engines (EcoBoost and otherwise), depending on how much power and gas mileage they’re looking for. The Ford Explorer is a midsize SUV, meaning that it’s bigger than the Escape but smaller than one of Ford’s other popular SUVs, the Expedition. Though it’s certainly capable of taking on some rougher roads, the Explorer is designed with luxury and comfort in mind, from its roomy seven-person capacity to its sleek exterior. Shoppers can choose between three engines, with the most powerful being the 3.5-liter EcoBoost engine clocking in at 365 horsepower.